Nessie on the Net! 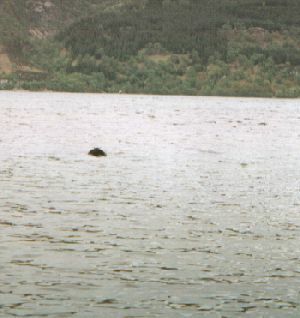 Exclusive photographs of Nessie and Not-Nessie! Will these photographs finally silence the doubters? Well, in fact these are not photos of Nessie - but you can probably see how confusion might arise! In the next picture the photographer has managed to capture a long trunk-like shape.